The bracket is set. The madness is about set to begin. 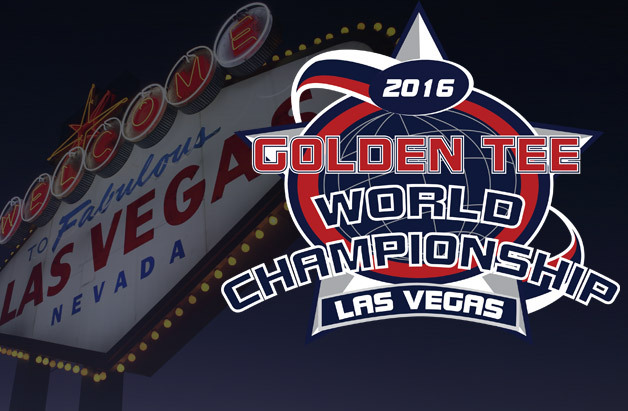 We are now two short weeks away from the Golden Tee 2016 World Championship—a two-day event that will take place at the Las Vegas Convention Center on March 16-17. A pool of thousands was narrowed down to 32 in the middle of January. Using the World Rankings in the month of February, the 32 finalists were seeded. Now that March 1 has arrived, we are ready for liftoff. The No. 1 seed heading into the event is a man whose voice should easily carry throughout the large convention center. Although Marc “Mouth” Muklewicz wasn’t the favorite to take these honors into Vegas; it’s no surprise that he will be at the top of the bracket, either. Paul Luna, winner of last month’s Florida Open, is the No. 2 seed, followed by Mark Stenmark (No. 3), former World Champion Andy Haas (No. 4) and Andy Fox (No. 5). The bracket for double-elimination match play can be found here, although let’s quickly breakdown each individual region with some early thoughts. Ed Godfrey vs. Chris Thorbrogger might be the most talented and exciting matchup of round one. Elsewhere, former World Champion Jeff Harlow will try to get his tournament run started against Washington’s Jeff Vordahl. While Muklewicz is the No. 1 seed, Matt Welter and some of the other players will hope to move on past three matches. Will Andy Fox and Stu Fox give the masses the All-Fox regional final? Will two-time Golden Tee World Champion Graig Kinzler make another deep run? And how about Andy Haas, who will defend his GT World Championship this year? Or how about some of the other players, including long-time trackball vet Brian Bernhardt? Lots and lots on intrigue in this one. When his game is on, Mark Stenmark might just be the best player in the world. Playing in his first GT World Championship, Stenmark will try to get past a region loaded with quality players. Even Gossett is in a similar position, and he will attempt to do the same at the bottom of the region. Meanwhile, Paul Tayloe and Tom Payne will meet in an all-North Carolina Round 1 match. To me, this is toughest region to navigate hands down. You have tournament experience, gifted players and an unfathomable amount of games played. Sean Gervais vs. Rodney Roberts is another first-round gem. The winner of that game will get Paul Luna or Tony Dakis, which is another one that could go down to the wire. Toss in tournament giant Jeff Lannen—along with some other immensely talented shot-creators—and you have guaranteed fireworks. What surprises are ahead? We’ll find out soon enough. Stay tuned to Goldentee.com for much more on the 2016 World Championship.